about is struggling with addiction? It can be hard to know which direction is the right one to pursue. A t Hope and Serenity drug rehab center, we focus on providing our clients with the care they need to achieve their recovery goals and place addiction firmly in their past. 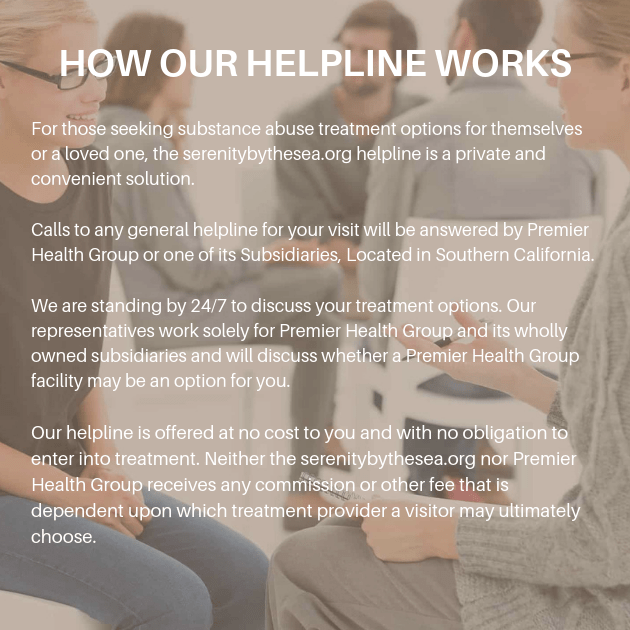 If you or someone you care about needs treatment for addiction recovery, contact Hope and Serenity substance abuse treatment center, and we can start the process of your recovery. At Hope and Serenity, our clients are our highest priority. We envision a life for you that isn't constrained by the burdens of addiction. Our mission is to help those people who are looking for a way to change their lives. We will go at all lengths to help you achieve your goal of a healthier drug-free life. One of the most important elements of our addiction recovery program is honesty. During your time in a drug abuse treatment facility, it is of paramount importance that you are honest. You have to be honest with yourself, honest with your family, honest with your counsellor, and honest with your peers in the drug rehab clinic. It is only through this honesty that you stand a chance of truly breaking the chains of addiction that have bound you to substance abuse. Fortunately, supervised detox minimizes this risk. Not only is the client in a safe and secure environment, so the client knows they have the support of the friendly and experienced staff, but there is no risk of temptation toward additional use of the substance.